Thunderkick games have been surprising the slot gamers with some outstanding concepts and enjoyable gameplays. 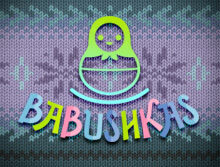 One of their bests available online can be spotted by the name of Babushkas. This game will give you a round trip to Moscow with the traditional outlook of the region. 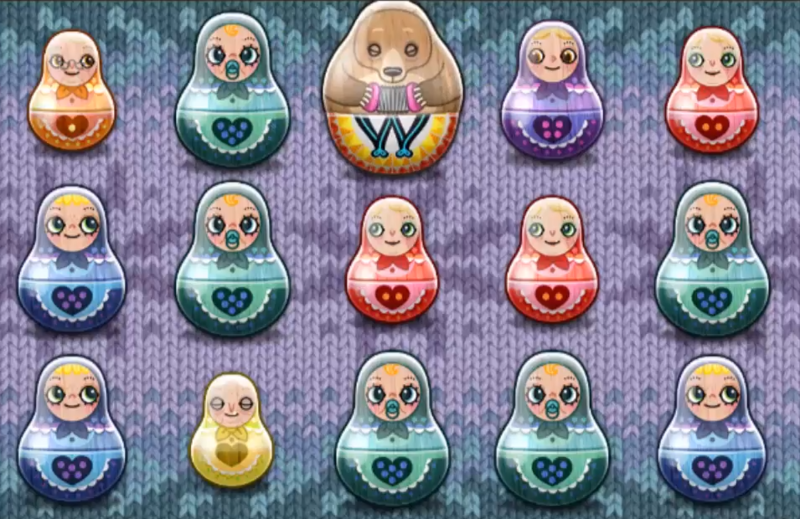 With Moscow come its special dolls called as Matryoshka which will be the main attraction of the game apart from its features. The game has 5 reels and three rows in total and fixed paylines too which are 17 in number. It offers numerous interesting features to the players to enjoy about which you’ll know further. It is quite common amongst the players and has gained good popularity because of the entire gaming experience that it gives to a player. The unique concept of the game has helped it stand out and be better than the others. The uniqueness of its features, graphics, conduct etc. all together has contributed immensely to bring an applaudable RTP of 95.8%. Yes! Isn’t that incredible? Justifying the high RTP is its maximum bet of 100 which can help you win at most 39000 in a single go. Not just this, even if you want to play safe and low, the minimum bet range is 0.1 only. Hence, you can easily adjust it as per your convenience and strategy. The game is played on 5 reels which are transparent beautifully placed on a backdrop of tapestry which has certain patterns. The graphics of the game are colorful and attractive which is accompanied by a Balalaika music adding more charm to the game. The basic symbols which you’ll find on the reels are basically dolls which were mentioned above. These dolls can be spotted in blue, red, pink, green, yellow, purple, and orange colors. The dolls can be distinguished not just on the basis of colors but also by the number of dots which can be seen on their clothes. Landing up with similar kind of dolls is actually what will bring you a fortune. The sizes of these dolls also vary and each size has a different value which can be understood by the paytable provided in the game itself. Other than these dolls are some special symbols, in fact, one only which further reveals itself as other interesting special symbols. It is a “W” which, just like any other wild acts as a substitute to any of the symbols present on the reels. It can also be observed in the form of a wild egg that is big, bold, and colorful. It can also be seen in the form of a star which triggers a feature of the game. The egg although cracks up and brings out the prize. There are bears in the game too which you’ll use to get some amazing bonus advantages. Upgrading the symbols: While playing the game under the normal or basic version, the moment you land up with a winning combination of dolls, a symbol (lower in value) around that winning combo will automatically upgrade to match up with it and facilitate higher winnings by forming a new payline. Every single time this happens, you get a payout and it won’t stop unless there is not even a single upgrade which can form a winning payline for you on the reels. If, by chance, all of the dolls on the reels matchup, what happens is that you get an overall upgrade for them. This, if luckily reaches up to the value of the highest paying doll which is yellow in color, it transforms into a ghost-like creature that gives you a blasting bonus of 100 times the amount of your stake. Scare Bear: With this, what happens is that all the low-value symbols get an upgrade all at once up to 2 to 3 times. The multiple of the upgrade depends on the size of the bear that pops up. Charm Bear: In this, the value of the symbols on the reels will go one level up immediately. Dance Bear: This is an interesting bear as it gives you no less than 7 free spins to play with. What makes it even more exciting is that there is a different wild symbol on reel three at every spin. Hence, the game leaves no space of disappointment for its players and thus provides a trustable and an entertaining gaming experience to which a gamer would return. Overall, it is definitely a game you should try at least once because you’ll again yourself for the next time.